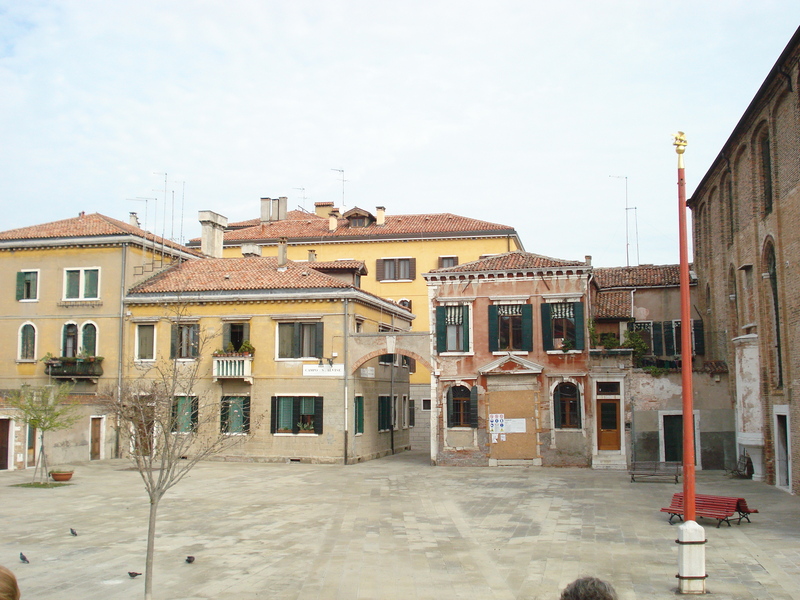 A building in the Campo San Alvise, Cannaregio, Venice taken in September. I was attracted to it by the sheer implausibility of the facade. To provide some kind of anchoring, I opted for trying to get the doorway roughly perpendicular, which means virtually nothing else is. The lopsided wooden door is either an interesting solution to an intractable structural problem or somebody having fun. From this http://renaissancerules.files.wordpress.com/2011/03/campo-san-alvise-ven... (dated 2011 on the website http://renaissancerules.wordpress.com/2011/03/26/campo-santalvise/) it would seem to be of recent construction, or recently restored.